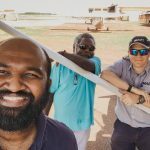 Mission Aviation Fellowship (MAF) is a unique Christian not-for profit organisation using aviation and technology to bring help and hope to some of the world’s most isolated communities. We have a fantastic opportunity for an experienced IT officer to join the team at our Cairns Support Office and use their skills to make a life-changing impact in the communities we serve. As a global organisation, sometimes working in very remote locations, our IT infrastructure is core to our ability to function safely and effectively. The IT Officer will be part of a global team responsible for maintaining and supporting IT services not only at the office in Cairns but for many locations across international borders. o	Configuring routers, firewalls, WANS and VPNS. The successful candidate should be self-motivated, passionate, friendly and an excellent communicator with a ‘can-do’ attitude, taking a real interest in new technology and ways of working. 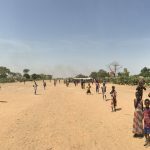 They will need to be a person who holds themselves accountable and who is motivated to serve the Lord, taking ownership and making sure that tasks are performed accurately and efficiently. Applicants must have the legal right to work in Australia and ideally should hold a relevant professional qualification and or experience. Acceptance and adherence to MAF International’s purpose, vision and values are an essential condition of employment.